Long the also-ran in the in the Los Angeles Halloween Theme Parks Sweepstakes, the Six Flags Magic Mountains Fright Fest has surged forward to become a genuine contender in the past few years. Previously, its haunted house attractions served as a sort of value-added extra to Magic Mountain's main events, the rides and roller-coasters, but now the Fright Fest features stand on their own - worthy of a visit, even for those not interested in experiencing the visceral adrenaline of riding Colossus backwards. With a multitude of mazes, scare zones, and shows, Fright Fest offers more than enough Halloween horror to please dedicated haunt seekers. Fright Fest 2015 will be mostly familiar to those who visited the 2014 version. There is a new scare zone, TerrorTory Twisted, and a new show Unleashed (a haunted circus in the Gearworks Theatre); also, one of the roller-coasters is newly infested with zombies, based on Call of Duty Black Ops III: Zombies, a '40s film noir take on the living dead. Other roller-coasters (Twisted Colossus, Goliath, Tatsu, Viper, Batman The Ride) have augmented their thrills with a simple but effective method: turning off the lights. Other Halloween-themed options include Voodoo Nights (DJs and go-go dancers); the High Sierra Hypnotist; and Dining with the Dead, an all-you-can-eat buffet on four Saturdays in October (3, 10, 17, 24), from 5pm to 7pm, so that you will not have to face Fright Fest on an empty stomach. As always, the chief advantage the Magic Mountain Fright Fest has over its competitors is that it is an all-day affair that does not require separate admission, though an extra fee is required for the mazes and for Dining with the Dead. 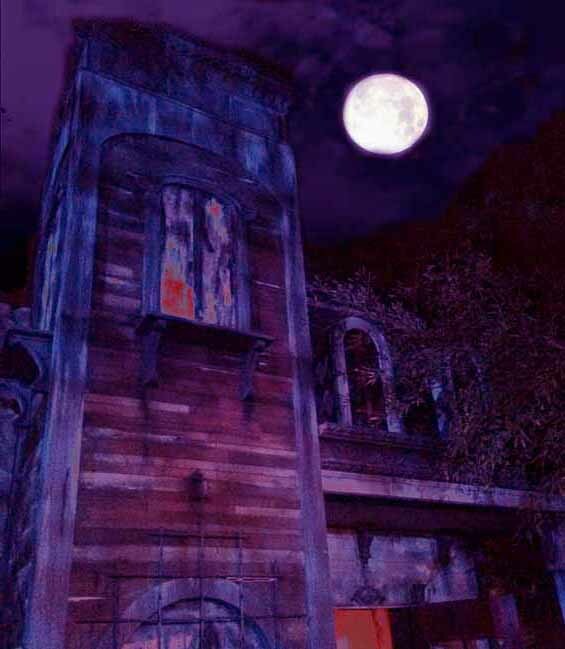 You can enter during daylight hours and enjoy the park more or less as it appears year-round, then switch to the Halloween horrors after darkness falls. Really, the only limitation is your own endurance - which can be a significant consideration, because the Six Flags theme park is huge, and Magic Mountain really is a mountain (well, a hill, but it feels like a mountain after you have been walking around the park all day). In addition, the layout is confusing, and even with a map it is possible to become confused regarding direction if you are not a park regular, so you may find yourself retracing your steps and accidentally back-tracking as you try to find your way to every haunted delight. Magic Mountain resurrects seven mazes from Halloween 2014 (the Total Darkness Maze in the Gearworks Theatre has been replaced by the Unleashed show). Though substantially the same, there are a few new twists and turns to offer a surprise or two. Many inhabitants of these realms wear rubber Halloween masks, but effective lighting tends to disguise this. More importantly, the settings betray little of the old fun-house style; though there are still some corridors constructed of painted flats, many of the environments are more convincing, some quite imaginative, and even the simpler mazes have a clever touch here or there. There is usually a good density of scares, and some mazes begin with prelude scenes, which has the fringe benefit of limiting the crowd to a discrete number of people that can fit into the first room - hence, no continuous conga lines! Willoughby's Haunted Mansion was long the highlight of Fright Fest; a few years ago it was upgraded with new effects, making it even spookier than before. After beginning with the hoary gag of a joke photo booth (air blasts you when the cameraman says "cheese"), Willoughby's Resurrected takes you on terrifying tour though a traditional haunted house. The sets are fairly tall, creating a good sense of being in a mansion, and the decor elaborate, enhanced by some strange architecture: not every room is rectangular, and the unusual angles create interesting attack lines for the monsters, who tend to pounce from different directions, with usually more than one in each room. There is some nice variety: it's not all Victorian drawing rooms; there is also a cemetery setting, a basement, and a furnace. Even the uninhabited corridors between rooms are not without their creepy charms, thanks to paints that come to life (thanks to Spectral Illusion-type computer graphics). An adult take on a familiar fairy, this maze recasts Red Riding Hood as a revenge-crazed vixen seeking to destroy the Big Bad Wolf. After a brief prelude, with a video telling the back story, Red's Revenge immerses you into a beautifully rendered storybook landscape, beginning with miniature houses, that look like fantasy illustration brought to life. After this brief walk through the woods, you enter several different settings (a wooden cabin, a stone structure, and lastly some kind of cavern where Red herself is perched atop the cave exit). There are some strange tree-like creature (props rather than people, though some have mechanical movement). The scares are perhaps less intense here, but they are perfectly suitable to the fairy tale atmosphere. One word of warning: There is a rather dark section, which is hard to navigate; this year, like last year, we almost ended up going accidentally behind the scenes. Welcome to the end of the world as we know it, in this outdoor arena of post-apocalyptic anarchy. If you have ever wanted to know what it's like to enter the world of Escape From New York and or Mad Max, here is your chance! There may be more than mere savages loose in the world of belching flame, toppled statues, and smashed vehicles; some of the inhabitants could be the living dead - though with the din of pandemonium ringing in your ears, you may find yourself beyond caring as you desperately search for a way out. The Aftermath makes excellent use of an existing set for the year-round outdoor Batman stunt show, creating a walk-through event with production values comparable to Halloween Horror Nights at Universal Studios Hollywood. It's not exactly creepy in the usual Halloween sense; it's more an overwhelming assault on the senses, with noise and lighting used to disorienting effect. Set in a largely outdoor structure, resembling a dilapidated Spanish mission, Chupacabra does not feature sets as impressive as those in Willoughby's Resurrected and Red's Revenge; nevertheless, the location is perfect for its particular brand of Mexican-themed horror, which features not only the titular monster but also La Llorona and perhaps a touch of Dia De Los Muertos. This is more fun-scary than disturbing-scary, but we love the theme. It's one of those mazes that is perhaps not technically amazing, but somehow the elements combine to create something really works. Despite the demonic title, this maze is less about infernal affairs than science gone wrong, involving genetic experiments that have created animal-human hybrids. Unfortunately for you, the experiments are loose, getting even with the scientists who created them. This maze feels as if it is set in a warehouse - which creates a convincing sense that you are behind the scenes of the laboratory. The scares here are a bit more aggressive than in Red's Revenge or Chupacabra, and there is a nice ending with some sort of special forces soldier laying down cover fire (courtesy of flashing laser lights) while you make your escape. Oh boy - another 3D clown maze! You know our feelings on this subject, but in spite of our prejudices we had a good time with this one. The colorful 3D element really makes the masked clowns work, confusing your sense of how close or far away they are. There is a brief intro scene before the rest of the maze, which is one of the last vestiges of the fun-house style at Fright Fest. Fortunately, the artwork adorning the flats is very well done. This one should be called "Willoughby's Haunted Hedge Maze." It's the closest that Fright Fest comes to offering a simple path of corridors constructed from nothing but plywood flats; however, there is a clever touch: the use of netting to create the illusion that these walls are made of shrubbery. The result is a bit like being trapped in the maze of Stanley Kubrick's The Shining. The scares inside vary from bog monsters who blend with the shrubbery to granite statues that come to life. It's simple but effective. Tallying up with seven scare zones, Fright Fest has has its theme park rivals beat in terms of quantity. The quality is not bad either. Even during the Halloween season, Six Flags Magic Mountain is a brightly lit theme park, so the monsters must stand up to clear-eyed scrutiny. The makeup is very good, including nice contact lenses. There are also stilt-walkers and other over-sized creatures, raising the fright level even higher. There is a pleasing variety to the scare zones, which tend to be themed in coordination with the closest maze or with the section of Magic Mountain they inhabit: The Wastelands near The Aftermath; Exile Hill near Willoughby's Resurrected; TerrorTory Twisted near Twisted Colossus; Sinister Circuit in the DC Universe. The three remaining scare zones are Demon's Door, near the main entrance; Nightmares, past Chupacabra and about halfway up the hill toward Willoughby's Resurrected; and Zombie Crossing, through which you pass on your way to Goliath and the Lex Luthor Drop of Doom. Of these, our favorites are Nightmares, for its black-light colors amidst overhanging trees, creating a sense of entering into another world; and Zombie Crossing, for creating a narrow fog-bound "funnel" with little room to avoid the zombies. The latter also features some clever, tongue-in-cheek touches: not only a "Zombie Xing" sign, but a TV monitor on which a news caster reads reports of the zombie outbreak, helping to set the scene and raise your anticipation for the walking dead you will encounter. Though not much is new at the 2015 Fright Fest, it nevertheless ranks among the best Halloween events in Los Angeles. Price-wise, it is a relative bargain compared to its theme park competitors, if you factor in the all-day experience of enjoying both the daytime and nighttime activities. If you have not been to Fright Fest recently - or never been at all - you should check it out. 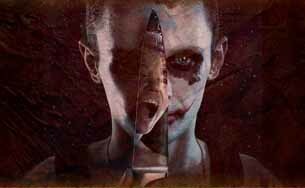 Fright Fest continues at Six Flags Magic Mountain on October 2-4, 9-11, 16-18, 23-25, 30-31, and November 1. Hours are 10:30am to midnight on Fridays and Saturdays, 10:30am to 11:00pm on Sundays. Magic Mountain tickets are $72.99 for adults, $47.99 for children under 48-inches, free for children under 2; admission to the Halloween attractions requires an extra fee. Advance online tickets are considerably cheaper, and there are discount offers for those who purchase year-round passes. Admission to the mazes requires an extra fee: $15 (in advance) for a basic pass; $30 (in advance) for an Express Pass. 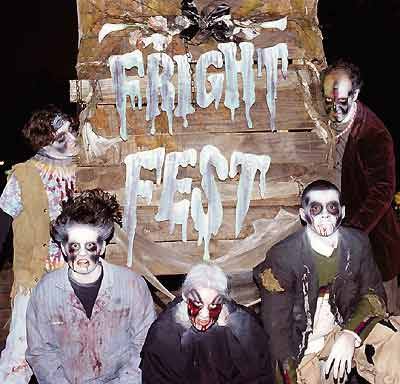 Click here for the Fright Fest webpage. Interested in more ways to enjoy Halloween in Los Angeles? 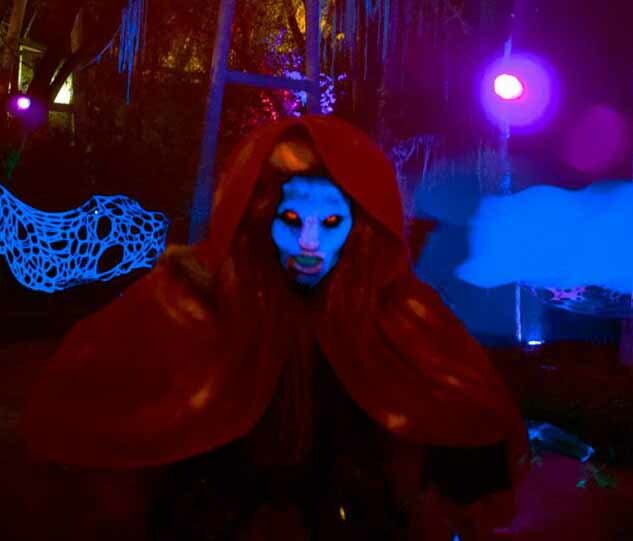 Check out our pages of Halloween Haunts and Halloween Theme Parks. Fright Fest 2015 is more or less the same as last year, and that’s a good thing. Six Flags Magic Mountain has turned their annual Halloween event into a contender that rivals its famous competitors.